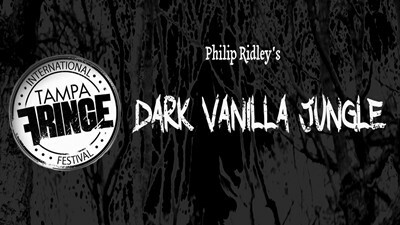 Innovocative Theatre’s production of Dark Vanilla Jungle will run for only three performances: Thursday, May 11 at 7:40 p.m.; Saturday, May 13 at 3:35 p.m.; and Sunday, May 14 at 8:50 p.m. at Silver Meteor Gallery. Tickets are $10 general admission. Warning: Due to the graphic language and content of the show, it is not recommended for children. For more information and ticket sales, go to http://www.brownpapertickets.com/event/2898884 or http://tampafringe.org/tiff/. DATES: Thursday, May 11 at 7:40 p.m.; Saturday, May 13 at 3:35 p.m.; and Sunday, May 14 at 8:50 p.m.